What is it that makes pugs so lovable? Is it their doleful eyes? Their down-turned mouths? Furrowed brows? While they may look sad, they’ve certainly found their place in our homes and our hearts. Now the adorable creatures have a new home, sitting on rugs in 43 amusing photographs! What could be cuter? 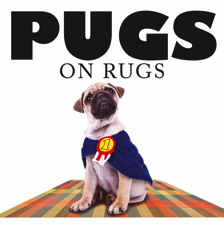 Pugs on Rugs celebrates different pugs on different rugs. The dog might be walking, sitting, or sleeping and the rug could be Persian, Aztec, or oriental, but the image is guaranteed to be cute and funny! People have been obsessed with pugs for centuries and each of this small book’s spreads features a photograph (or montage) alongside an amusing caption and a fascinating fact about the history and characteristics of this unique breed. Did you know that the first pugs were brought from China to Europe to serve as guard dogs? Or that a famous pug named Pompey once saved a Dutch prince from assassination? Have you heard about the eighteenth-century German secret society dedicated to the pug in which new members initiated themselves by wearing a collar, scratching at the door, and kissing the rear end of a giant porcelain pug? 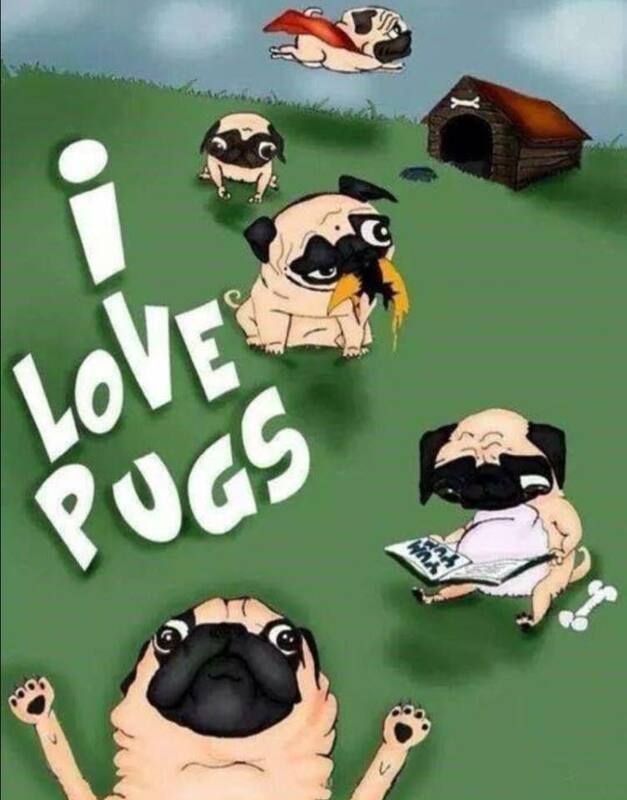 Yes indeed, pug lovers are an interesting breed and this volume is sure to get them laughing with delight.